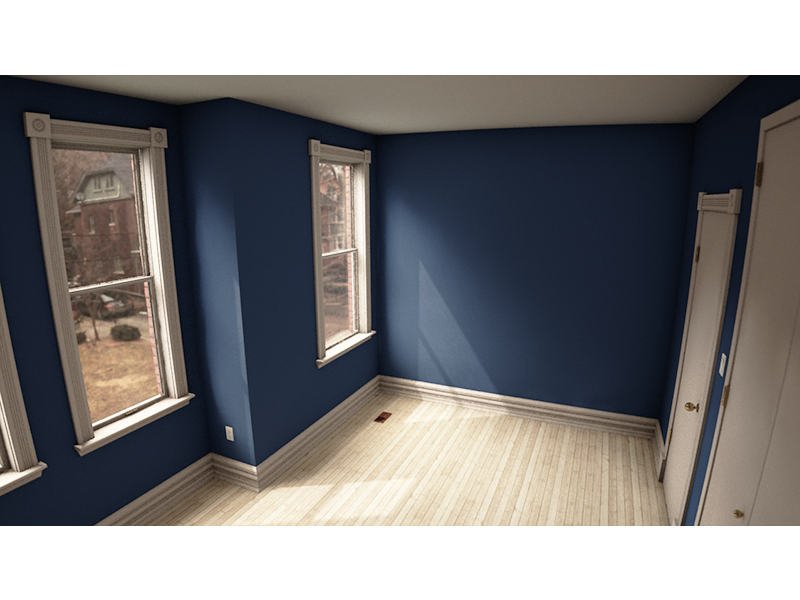 A few years ago when I was moving things out of my room, I thought it would be cool to model the room in great detail so I could mess around with a new furniture layout in 3D. In the end I spent more time on it than I'd initially planned, but it was a great learning experience when I was pretty new to Cinema 4D! Here's one of those renders from a few years ago (I just remembered that I'd done this the other day). Everything you see is CG except for the view out the window, which is a panoramic I took with my iPhone.